Please WELCOME our new sponsor. 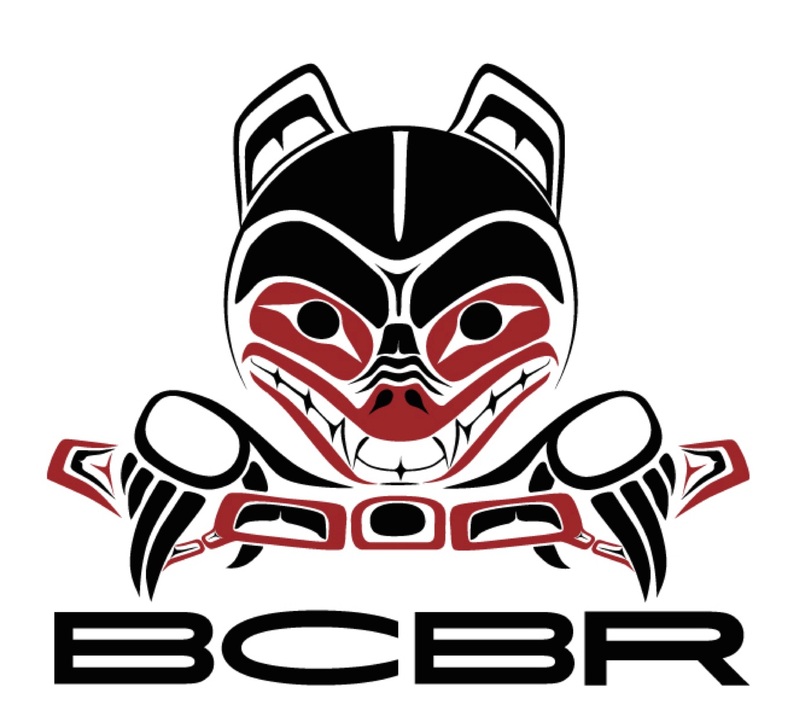 A small family business celebrating 45 years in Surrey, B.C., B&B traditionally specialized in bearings for industrial needs but have expanded their product line in recent years. As they were stocking more and more bearings for themselves (they all ride bikes! ), they soon realized that there was a lack of supply for the recreational market in the Lower Mainland. They truly give back to the community by sponsoring many amateur sporting events and teams such as: Dual Sport BC, the 2015 3D Indoor Archery National Championships, 2012 Senior Men's Water Polo National Championships, the Aboriginal Youth Mountain Bike Program, Surrey Orca's Water Polo Club, Pacific Storm Water Polo Club and now the SORCE Bike Club. Whether for any bicycle, a dirt bike, ATV, snowmobile, street motorcycle, skateboard, rollerblade, etc . . . they now stock most bearings that are available for resale. 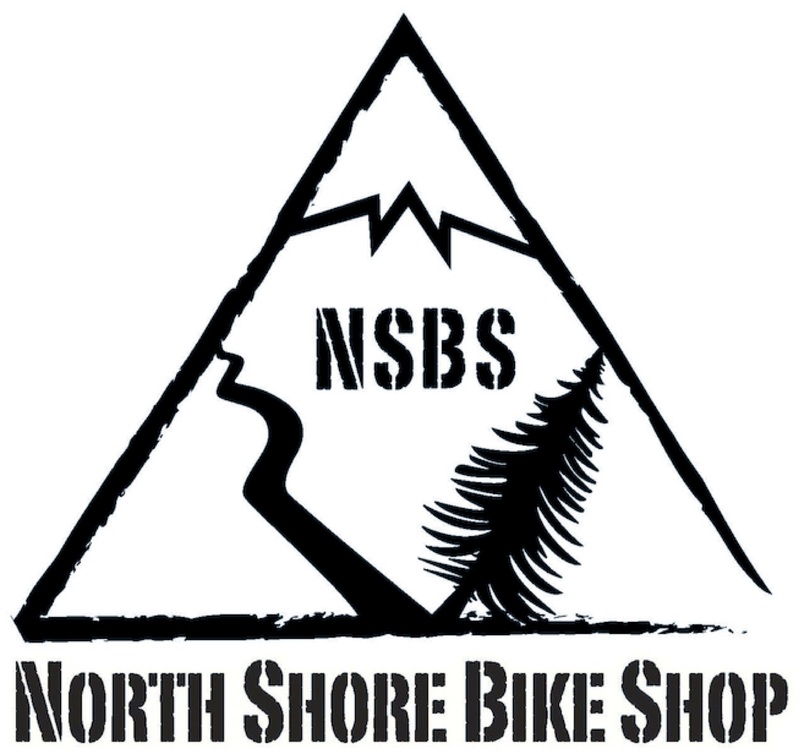 They offer a 15% discount for SORCE members and love talking bikes at the counter. Friendly, family service at a price that's better than most. Check them out! All Shed Shredders will have to ride at other locations. Due to extreme fire hazard conditions, Delta has closed the park until further notice. Fabulous day at the Shed Kids Race. Special thanks to our main sponsor, Tyler Dumont and PhysioMoves who provided funding for the medals and Beast & Brine custom made all natural brats! Velocity Cycles sponsored with cool prizes with Simon and crew providing the tools and support that a race needs! Meet at the Meadows for 9am registration, 10am race with prizes and BBQ to follow. 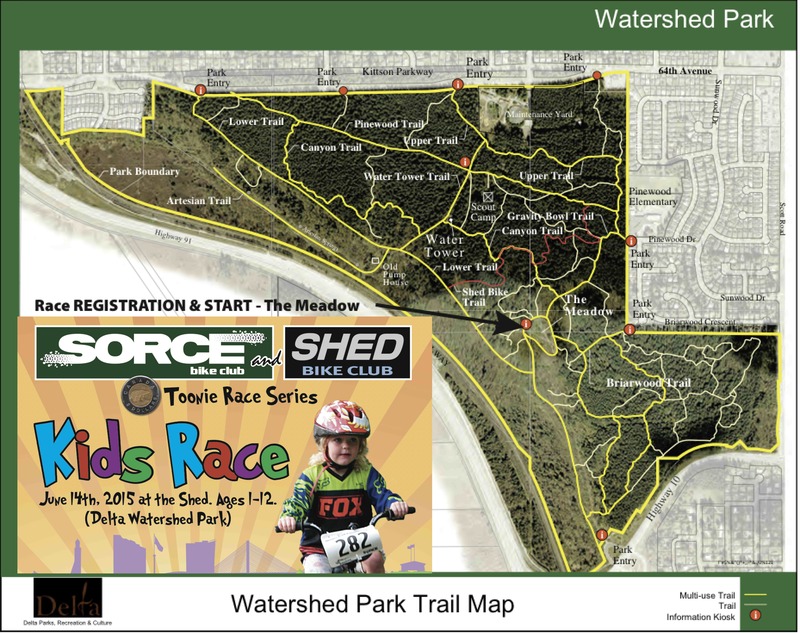 Going to be an awesome Kids Race at the Shed! Medals, prizes, Beast & Brine BBQ. Short loop around the Meadows for younger kids and a longer route through the forest for the older ones. A fabulous Toonie race at SSBP Sunday, with 24 riders enjoying perfect JunkYard Dog trail conditions. Winner of the 1 lap group was Tag Tiessen. 2 laps, Owen Sepke took the win with Pam Gundermann and Mitchell Paquette in 2nd and 3rd. Brad Issel took the win in the 3 lap group just a few inches ahead of Sheldon Orr and Tyler Dumont finishing 3rd. We had some technical glitches with timing and all was lost . . . but at least we have plenty of photos taken by Joelle and Garvey. Check the link below. Thanks to Jim Jamieson and Norco for some swag and Frank Gundermann of FVMBA brought a couple Locals' Guide to Fraser Valley Rides. Mike Dolling whipped up a batch of delicious pulled pork in a bun with coleslaw. 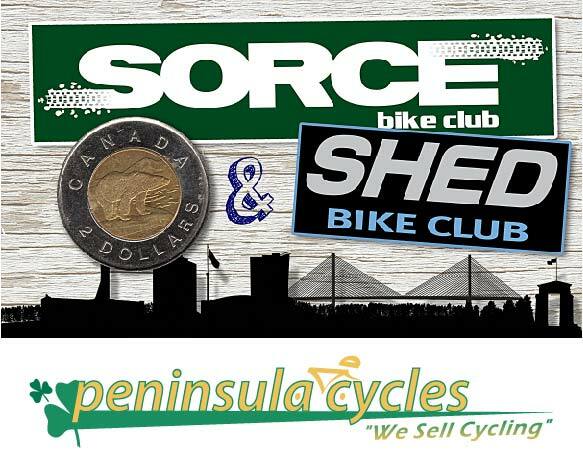 The Peninsula Cycles Toonie Race at SSBP is Sunday May 24. Registration and course open at 9am. Race starts at 10am. The 2015 Junkyard Dog BC Cup Race Results are in! The 2015 Junkyard Dog BC Cup Race Photos are here! All riders who have registered for their UCI or Provincial Race license by 11:59 pm, Thursday, April 16th, will have a record of their license sent to race organizers for the Rocky Cycle & Daryl Evans Racing – JunkYard Dog XC Race. 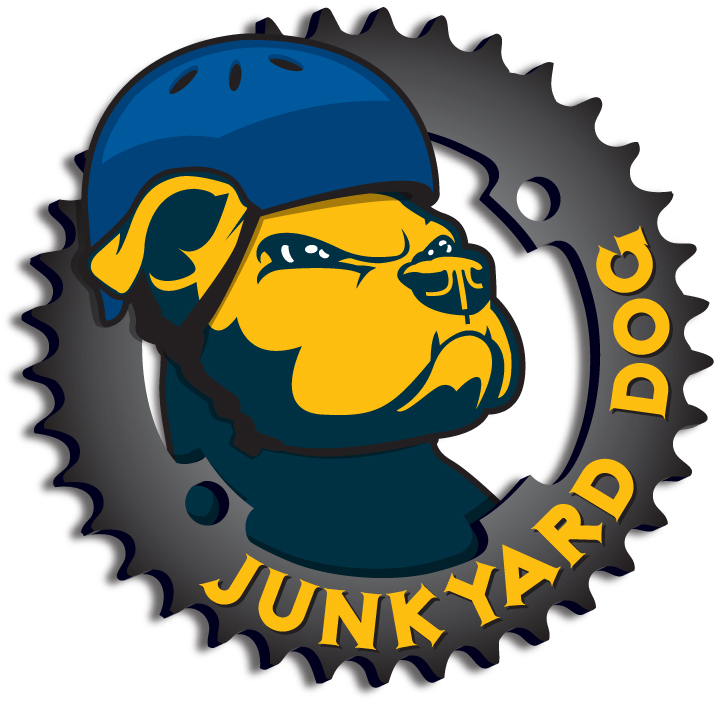 You can register for the JunkYard Dog online until midnight Thursday, April 16th, or on-site on race day (see event page for race day schedule). Because race organizers will have a list of current UCI and Provincial Race Licenses on-site, if you have not yet received your license, it is not necessary to obtain your license number from Cycling BC. 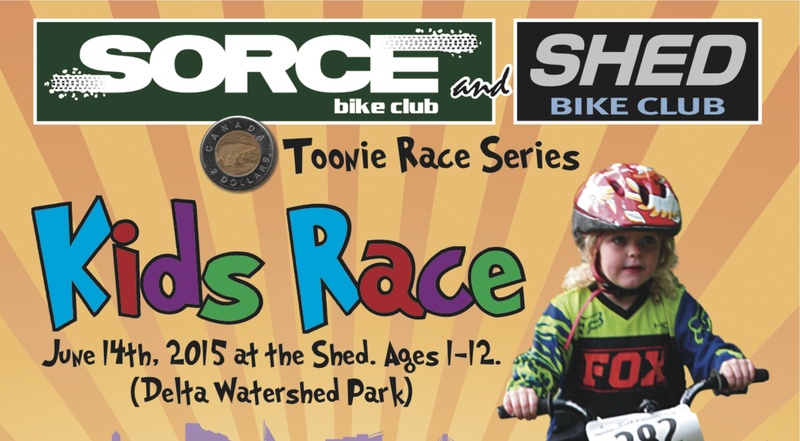 Toonie Races - Registration OPEN!